Tim spoke at the Unleash19 conference in London to leading talent professionals about businesses' power to create intimacy and meaning in an age of volatility and exponential change. Tim spoke at the Unleash19 conference to talent professionals from all over the world about the businesses power to create intimacy and meaning in an age of volatility and exponential change, and the Personnel Today magazine’s Ashleigh Webber reported. Work is at risk of losing its human side as technology takes over many aspects of our professional and personal lives. Delegates at the 2019 Unleash Conference & Expo in London were told that work needs to become “romantic” again to inspire employees. 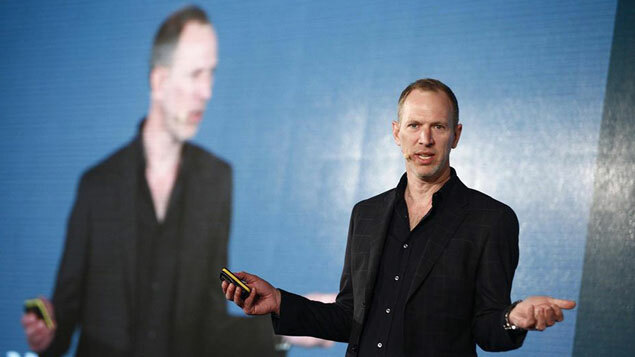 The Fourth Industrial Revolution is not only increasing productivity and erasing monotony at work: it is also disrupting what it means to be human, author and entrepreneur Tim Leberecht believes. Exponential technologies – those that are rapidly changing and shaping many aspects of our working and personal lives – are altering the way human beings think and feel about work, especially at a time when people strive to find roles with a distinct purpose. Although speaking at this week’s HR tech-focused Unleash Conference & Expo in London, Leberecht suggested that humans’ current sense of purpose will erode as technologies such as artificial intelligence and robotics permeate the workplace and take over any process-driven or monotonous roles. But this increased automation should be seen as an opportunity, he believes, as more value will be placed on work that must be done “beautifully” – using distinctly human skills. Although technology is making certain tasks easier and making the world more connected than ever, humans are also lonelier than ever, which is having an effect on the selves they bring to work every day. “What has digital technology done to work? It has on the one hand scaled efficiency, but it is also fair to say that the history of digitalisation has been a history of disappointment. We were hoping that the internet platforms would give us a more connected, more inclusive and more democratic world,” Leberecht said. He suggested that in order to inspire “beautiful” work, organisations must make the workplace, and those in it, feel “romantic” again – which he said involves seeing the world as it could be, rather than what it is. This, he explained, can be done by following three rules: do the unnecessary, create intimacy, and suffer a little. The first, do the unnecessary, involves making decisions that might not always make business-sense, but inspire and unite employees. He said cutting unnecessary gestures, for example office perks, risks removing some of the elements people value and are inspired by at work. He gave the example of Apple founder Steve Jobs, who once suggested that customers should feel the “soul” of the organisation in its products. “More and more companies talk about authenticity and getting employees to bring their full selves to work, but that kind of language only goes skin-deep,” Leberecht said. He also believes that employers should promote transparency, giving the example of one organisation that encouraged staff to write down what bothered them and display it in a room they called the “ugly room”. The second rule, creating intimacy, involves connecting people in ways that technology cannot. Leberecht said people check their smartphones 80 times per day, on average, and yet they are more isolated and lonelier than ever. “We are longing to be treated like unique human beings, not the target of algorithmic recommendations. We don’t want personalised experiences, we want personal experiences,” he said. Baroness Susan Greenfield, the neuroscientist and author, said imposing technology on staff is not enriching their lives – it’s providing an alternative to them. She claimed that many people are becoming “addicted” to technology, which is having an effect on the development of their brain due to the release of dopamine which inhibits growth of the pre-frontal cortex. This is affecting how people behave at work, with “addicted” staff becoming increasingly reckless and easily distracted. Greenfield suggested that employers need to give “a sense of past, present and future” back to staff, rather than immediacy. For instance, encouraging activities like sport or reading that can only be done sequentially. There is a strong need for employers to get back in touch with the human side of work. Leberecht highlighted a meeting at Danone where all attendees were asked to wear hats, masks and wigs. This sparked a renewed sense of enthusiasm with staff leaving the meeting having made concrete decisions. The props had helped erase hierarchy and promote collaboration. Leberecht’s final rule of creating a “romantic” workplace is learning how to suffer a little – a feeling that he believes many will experience with the world of work changing so rapidly. He said: “Suffering is not really a term that we use in business because most of our workplace and customer experiences are designed for instant gratification, convenience and efficiency. Having “romantics” in an organisation that live by these three rules will allow it to become truly innovative, not just reactive to changes thrust upon it. Leberecht said that by combining these attitudes and inherently human qualities with technological advances, organisations will become more productive, efficient and more human. “That’s why it’s so important that we build organisations and workplaces that are not like machines, but gardens, that value what we cannot qualify or measure, that are not only more useful, but also more beautiful,” he said. This article first appeared on Personnel Today.